Comic book covers are getting a blast from the past! While DC is attempting to make lenticular cool again, Valiant is upping its game with authentic 90's foil covers! The 90's were plagued with "foil" variants and it appears that Valiant found a stock of vintage holofoil and is giving Quantum and Woody the foil treatment in honor of its upcoming television series. I cannot wait to see what these look like. Anyhoo, time to check out this week's pull list! 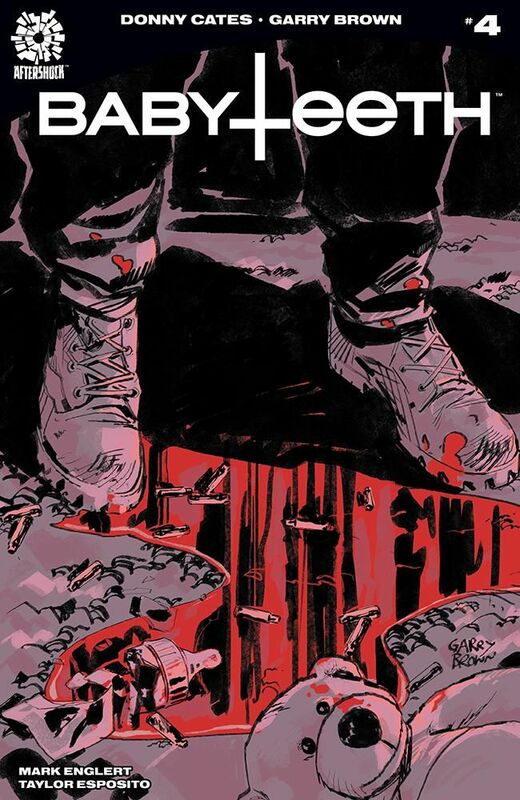 Babyteeth #4 - Just when Sadie thinks things can't get any worse after discovering her son will only drink blood and may have caused some natural disasters as he was born, her father notices that she has multiple baby bottles filled with her own blood and is understandably concerned. 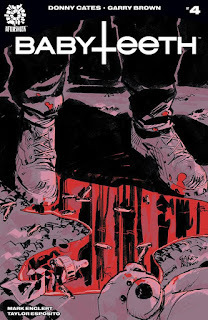 Donny Cates' story about the birth of the Antichrist hit close to home this week as it had me question how I would approach a situation like this as a father. Clearly the initial impression is one of extreme concern for the mental well being of Sadie, but when a bounty hunter shows up to kill Sadie and her child his fatherly instincts kick in. If that wasn't enough to deal with in this issue, Sadie's sister Heather is now dealing with what appears to be vampires or some other sort of monster that will clearly play a role moving forward. I love the world that Cates has created and appreciate how real all of his characters feel despite the supernatural situations they all find themselves in. Definitely one of my favorite new series and Cates is an author you will want to keep your eye on. 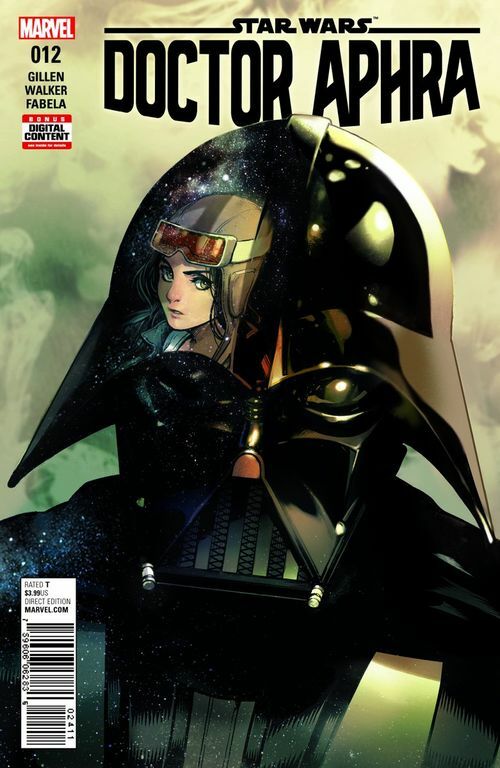 Doctor Aphra #12 - This series continues to delight. When we last left Aphra she was just informed that Vader was crashing the party. Apparently BeeTee and Triple-Zero alerted him to the situation, without informing him about Aphra's role in everything, in an attempt to blackmail Aphra for their freedom. I was shocked when I learned it actually worked and really hope that a spin-off is in the works. Given a chance to flee, Aphra decides to stay and try to save the artifacts even though that involves dealing with both the ancient Jedi and Vader. This series is a lot of fun and I love seeing a good side of Aphra after her introduction into this series. 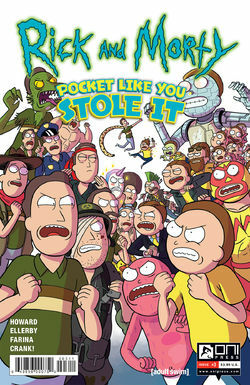 Rick and Morty: Pocket Like you Stole It #3 - I just recently hopped on the Rick and Morty bandwagon and absolutely love how chaotic the series is. While I skipped the first two issues, this issue is chaotic and definitely fits in with the direction the show is going. Morty is attempting to take down the Council of Ricks, but needs to enlist the help of his mom and her army of Jerrys (his dad). Reading this makes me feel like I need to go back and read the first two to see how this stacks up with the show. It definitely seems like a good fit, but I need the whole story before I render a final judgement. Something tells me that fans of the show will enjoy this series as it seems very true to form.